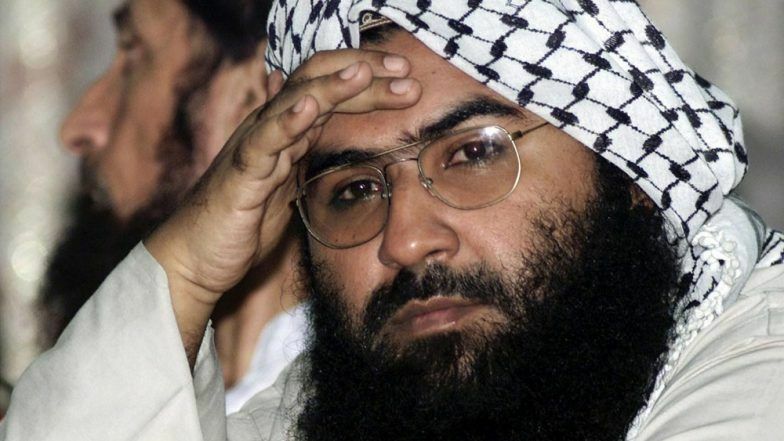 Beijing, April 1: China on Monday claimed that "positive progress" has been made on designating Pakistan-based JeM chief Masood Azhar as a 'global terrorist' by the UN and accused the US of scuttling its efforts by taking the matter directly to the Security Council, setting a "bad example". Two weeks after China put a hold on a French proposal to list Azhar under the 1267 Al Qaeda Sanctions Committee of the Council, the US on March 27 circulated a draft resolution to the powerful 15-nation Council to blacklist Azhar and subject him to a travel ban, an assets freeze and an arms embargo. China last week defended its repeated attempts to block the listing of the Jaish-e-Mohammad chief as a global terrorist and refuted the US allegation that Beijing's action amounted to protecting violent Islamic groups from sanctions. "After the application for designation of Azhar was proposed (in the 1267 committee), China is in close communication and coordination with various parties and made positive progress. The US knows that very well," Foreign Ministry spokesman Geng Shuang told a media briefing here on Monday. Masood Azhar Listing Row: China Hits Back at US' 'Hypocrisy Charge', Says ‘Not Sheltering Terror'. Asked to clarify whether the progress he meant was to resolve the vexed issue of listing Azhar, Geng said, "Yes. The US knows that very well". However, he did not elaborate. China has so far blocked the move four times in recent years. On March 13, it blocked a proposal by France and backed by the US and the UK, in the 1267 Al Qaeda Sanctions Committee, saying Beijing wanted more time to study the case. A hold on the proposal would also provided time and space for the relevant parties to hold talks after the Pulwama terrorist attack, the Chinese foreign ministry said. Following this, the US directly moved a resolution in the UN Security Council on March 27 to blacklist Azhar which China said amounted to undermining the 1267 Committee. India handed over a dossier to the Acting High Commissioner of Pakistan in New Delhi on February 27 with specific details of Pakistan-based terror group JeM's complicity in the Pulwama attack that killed 40 CRPF personnel on February 14 and the presence of JeM terror camps and its leadership in Pakistan. Pakistan has already said that it has not found any link between the JeM and the Pulwama terror attack and demanded more information/evidence from India. Monday's comments by the spokesman was the first time Beijing spoke of progress to resolve the Azhar issue. "We believe under the current circumstances forcing a draft resolution at the Security Council is not a constructive move and set a bad example," Geng said. Lashing out at the US for taking the Azhar issue to the UNSC from the 1267 Committee which also functioned under UNSC framework, Geng claimed support from majority of UNSC members to China's stand that the issue should be resolved by the 1267 Committee. "We hope various parties will meet each other half way and continue to properly solve this issue under the 1267 Committee framework. Last Friday, UNSC members exchanged views on the US proposed draft resolution. The majority believes that efforts should be made to solve the issues under 1267 Committee framework," he said. "They are not in favour of forcing the draft resolution. China has been working with various parties and is making progress. The US knows that very well and yet, it insists on pushing the Security Council to adopt the draft resolution," he said.